An Easter Egger (EE) is any chicken that possesses the "blue egg" gene, but doesn't fully meet any breed description as defined in the American Poultry Association (APA). Often confused with the rare, pure breeds of Araucana and Ameraucana, the majority of chickens in laying flocks that lay blue or green eggs are actually Easter Eggers. Even if a bird meets an APA or ABA Standard of Perfection breed description, but doesn't meet a variety description, or breed true at least fifty percent of the time, it is still technically considered an Easter Egger. The Easter Egger is known for its colorful eggs; the eggs can range from green to blue and even pink. Originally bred from a South American breed, it has become one of the most popular breeds in the United States today. All "Ameraucanas" sold from hatcheries are actually EE's. You can usually only get true Ameraucanas from Private Breeders, like ourselves. 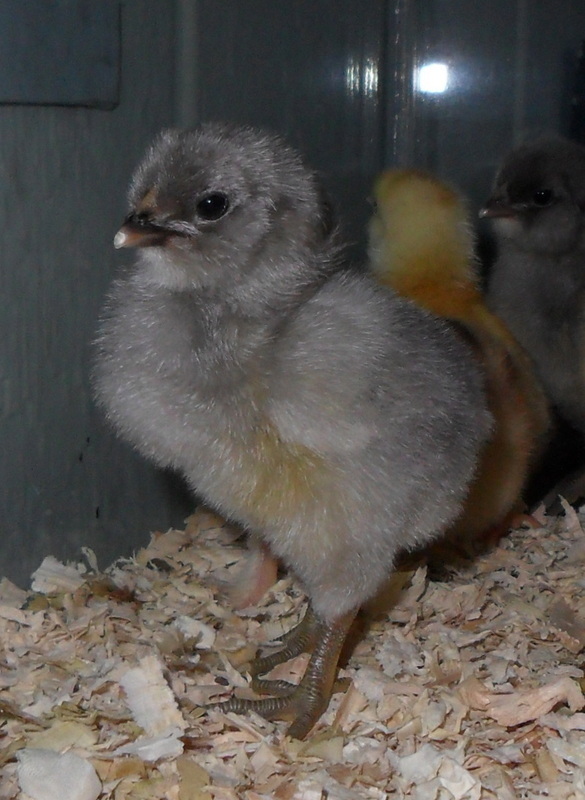 Easter Eggers can have virtually any feather color or pattern, and usually have greenish legs and a pea comb. Normally they have a beard and muffs similar to the Ameraucana, however breeding techniques have lead to a beardless variety as well. Easter Eggers are fun, friendly, and come in many colors! We are no longer raising Easter Eggers.